Fastest, smallest and highest capacity bus powered Thunderbolt™ device in the world. With its tethered Thunderbolt cable and the ability to run on bus power alone, this drive is designed specifically for speed and portability. 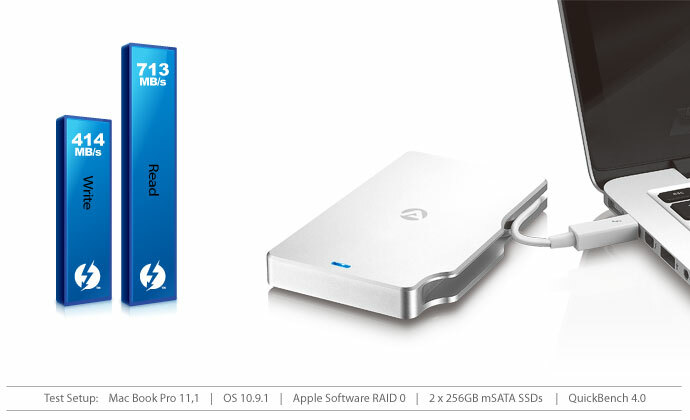 By incorporating the awesome Thunderbolt connection and combining it with two SSD drives in a RAID 0 software RAID, AKiTiO’s Palm RAID is ready to deliver an extremely fast throughput performance. 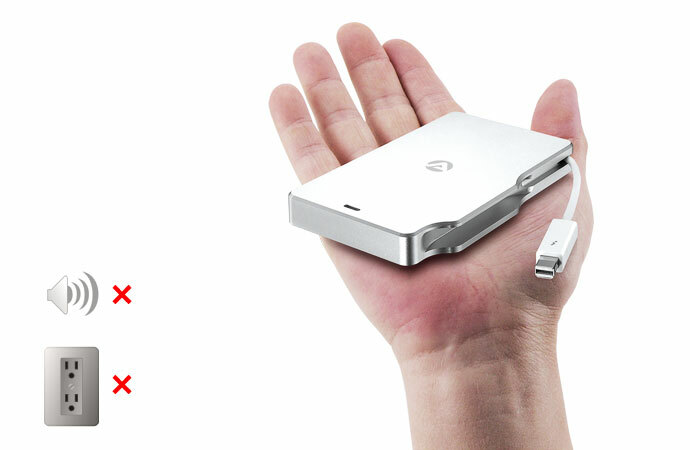 This sleek and compact drive runs on bus power alone. Simply plug in the device and you are set to go. Hassle-free with its tethered Thunderbolt cable and noiseless, the Palm RAID is the ideal companion for your notebook. This test was done with Disk Speed Test from Blackmagic, to get a real world indication of the transfer rate you can expect when capturing and playing video. 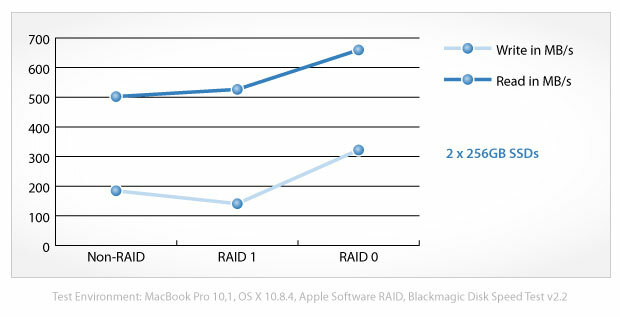 The RAID system was created using Apple's software RAID and RAID 0 stands for a striped RAID array.